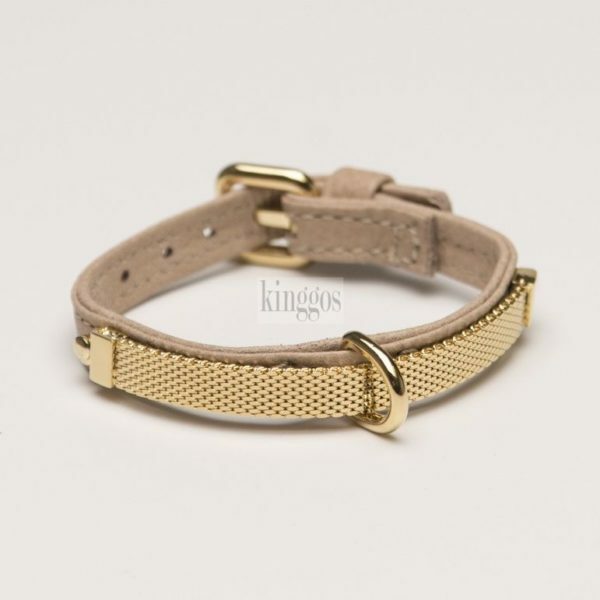 Lovely collar made by Kinggos, a high-end manufacturer of quality items for pets. 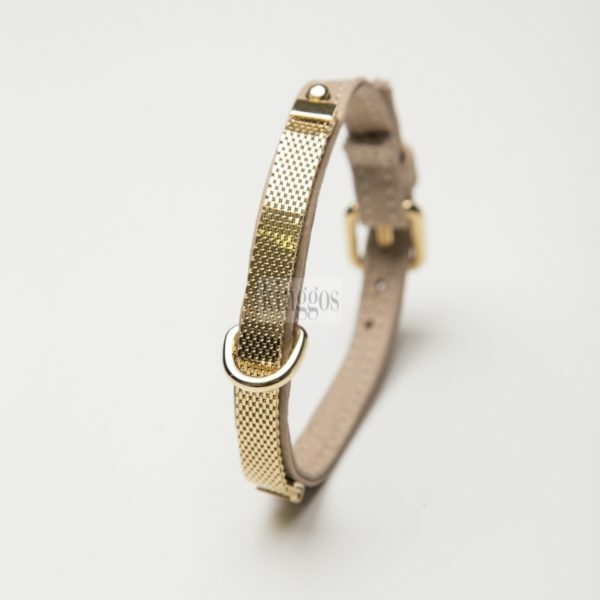 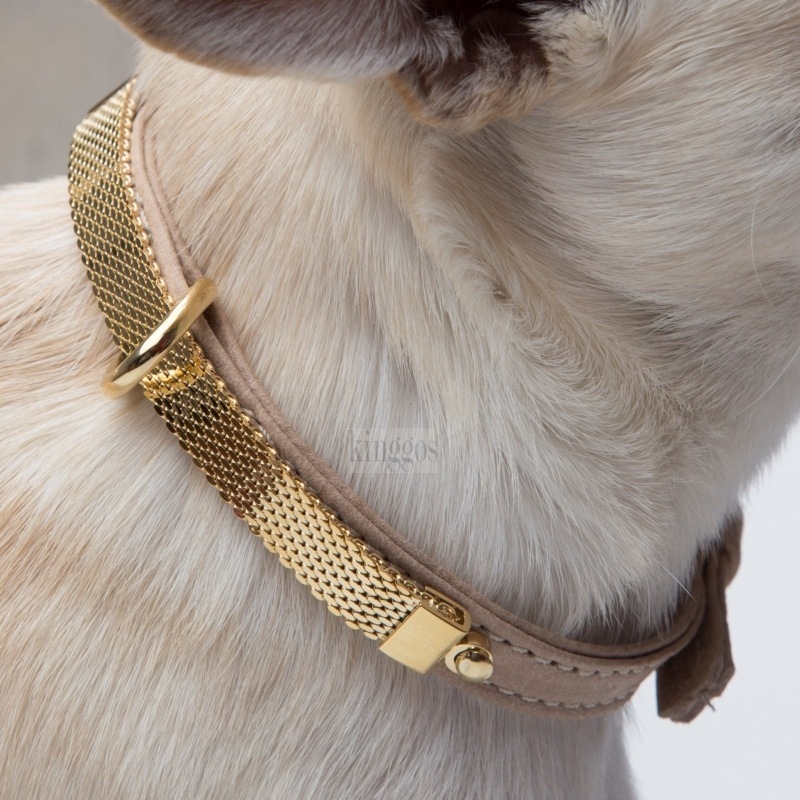 Genuine soft leather collar, handmade with gold plated flat chain embellishment. Size 25 (width 1 cm) 5 positions adjustable neck diameter between 22 and 26 cm.